We provide maintenance, repair, and installation services to local residences. At Garage Door Repair Naperville, the focus is on helping users find the best solutions to their problems. Be it a chewed-off wire caused by a rodent or a worn-out panel film – our technicians have years of experience to fix almost any issue related to garage doors. Maintaining your property has a lot of benefits. Other than ensuring that all parts stay in good condition for a longer time, recurring maintenance checks can also detect any potential issues such as loose bolts or rusty shafts. Although safety measures are employed during installation, daily usage can cause aggravated wear and tear. If your door is old and you can't remember when was the last time it was properly checked, it might be time. 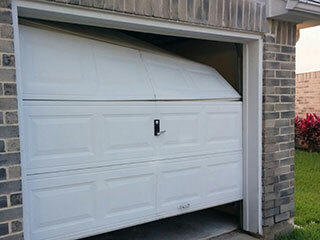 Avoid unexpected problems and have your garage door inspected and maintained by one of our professionals. Schedule your appointment online or give us a call anytime!